Perhaps, if we can look lovingly on everything that is happening these days, including terrible act of violence, we might begin to understand why they are happening and we might also begin to glimpse solutions that bring the peace we all long for. It is likely that each of us is aware of small local gestures of love and care towards the environment and to those most immediately dependent on it. In the recent encyclical Laudato Si, Pope Francis reminds us that each individual must play their part in addressing climate change. He calls on governments and multinationals to take a lead, and he warns against ‘a false or superficial ecology which bolsters complacency'[LS 59]. Pope Francis also acknowledges that there are positive steps, some of which are significant and which give testimony to the fact that positive intervention is a possibility. I would like to pick out just three recent good news stories that have appeared in the last week here in the UK – maybe you have others that you could add. 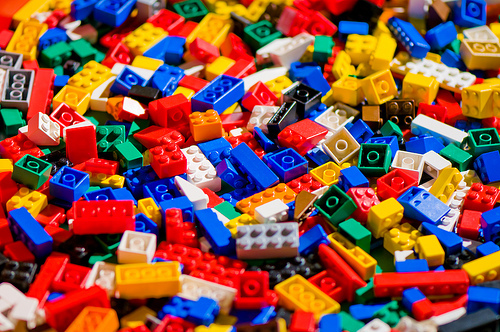 Toys such as Lego are essentially luxury goods. The market for them is driven by branding and advertising. The decision to make a radical move towards sustainability probably indicates not only increasingly responsible manufacturing targets but also a growing pressure from consumers to buy sustainable products. A tiny hamlet in Lancashire, NW UK has won a significant battle in its campaign to prevent fracking in the local area. Little Plumpton has just 13 residents. In an area where employment is limited and fracking could boost the economy, locals and others from across the region have mounted a determined campaign which has at least temporarily halted the proposed site. The Chief executive of the Lancashire Chamber for Commerce, supported by Cuadrilla said “In turning down this proposal, councillors appear to have ruled with their hearts, rather than their heads, and ignored the reasoned arguments of those with genuine expertise in this industry. She said it was “bad news for local businesses”. The ‘no’ campaign has largely centered around the environmental impact of the proposed site. She went on to say that ‘the pope’s position as a “moral voice” in the world – and leader of 1.2 billion Catholics – gives him the unique ability to unite campaigners fighting for a common goal.’. In the encyclical Laudato Si, Pope Francis repeatedly calls us to become aware not only of the immediate consequences of environmental degradation – deforestation, loss of habitats, etc. but also of the repercussions on the global community. In the paragraph quoted below he reminds us of the potential consequences of further multinational control of water resources. I read an article recently which looks at the main findings of ‘A New Climate for Peace‘ – an independent report commissioned by G7 members. The report refers to climate change as “the ultimate threat multiplier” in fragile situations, and looks at how related issues such as food insecurity, migration and competition for water can leave fragile states and regimes unable to provide for their citizens. International and national security is very much on the political agenda, and the report acknowledges that there are multiple factors involved in any conflict, but it also recognises the significant impact of food and water insecurity in conflict. 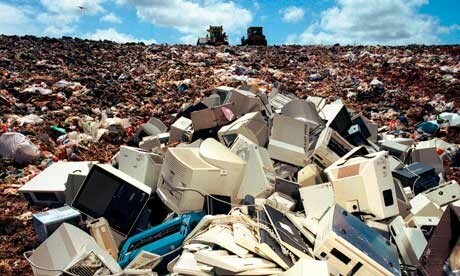 It is not poverty that destroys the environment, it is wealth, consumption and waste. Last weekend I spent a good length of time playing Monopoly. My luck was poor from the start and each time I threw the dice I either only moved a couple of spaces or landed on a ‘CHANCE’ or ‘COMMUNITY CHEST’ in which I had to pay a fine. Before I had completed a full circuit I was sent to ‘Jail’ and watched whilst my friends continued to hop around the board successfully buying up all the property and leaving nothing available to me when I finally got out of ‘Jail’. The next round was no better – now I had little money and kept landing on their property incurring a fine. The only complete property I could afford was Old Kent Road and Whitechapel – which brought in the grand sum of £4 should someone happen to fall on it (having just passed Go and collected £200!). Apart from that I owned single properties which only enabled a minimum rent and no buying power. Nevertheless it took a long time to completely bankrupt me – the other players gave me high interest loans or eventually bought up my assets for ridiculous prices, claiming that they were ‘doing me a favour’. When the game was finally over we played a rematch, but this time brought some equality into the board – the properties were shared out and those with the more lucrative streets didn’t place hotels so that the fines were more equal. The game went on for ages with all of us happily claiming rent, and paying fnes without difficulty. It was only when we re-introduced inequality, with a few additional hotels, that clear winners and losers emerged, along with a sense of ‘that’s not fair’. Pope Francis in Evangelii Gaudium has much to say on this matter… here is an extract, but you can access the full text by clicking the link. 57. Behind this attitude lurks a rejection of ethics and a rejection of God. Ethics has come to be viewed with a certain scornful derision. It is seen as counterproductive, too human, because it makes money and power relative. It is felt to be a threat, since it condemns the manipulation and debasement of the person. In effect, ethics leads to a God who calls for a committed response which is outside the categories of the marketplace. When these latter are absolutized, God can only be seen as uncontrollable, unmanageable, even dangerous, since he calls human beings to their full realization and to freedom from all forms of enslavement. Ethics – a non-ideological ethics – would make it possible to bring about balance and a more humane social order. With this in mind, I encourage financial experts and political leaders to ponder the words of one of the sages of antiquity: “Not to share one’s wealth with the poor is to steal from them and to take away their livelihood. It is not our own goods which we hold, but theirs”.